If you are looking for a simple, modern and user-friendly uninstaller, go for this IOBit Uninstaller Pro. You may be looking for an uninstaller program for your Windows 10 PC. So, This unbiased IObit Uninstaller Pro review may help you a lot to have the right choice. In these days, Smartphones and PCs are full of crapware, bloatware etc. Often, Users can’t delete or uninstall them properly. To remove them including any unnecessary apps, you need a program like IObit Uninstaller. This program has been developed by IObit for Windows PC users. But, How is it and why you may want to install it? Go through this review, you will find the answers. When we uninstall any programs from Windows, there are still some files remain as the leftover in your PC. We can remove them manually or by using third-party programs. 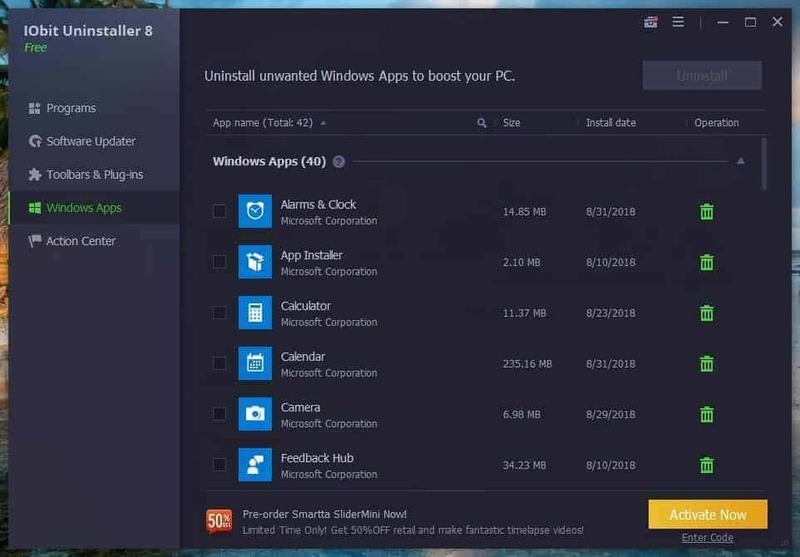 If you already have the plan to try one of these third-party programs, this IObit uninstaller review can help you. We use Windows installer to install or remove anything from Windows PCs. But, It’s not enough as it doesn’t remove everything related to that program from the registry and other places. But, IObit uninstaller has the ability to remove everything from the scratch. In addition, It has some amazing features that can supercharge your experience. It has excellent features that have made it awesome. Here are the most significant features. The IObit Uninstaller 8 Pro has much more feature. The current version is also better than the previous one. The above-mentioned features are major and noticeable. But, You will find more when you start to use this program. When you uninstall any app or program from your Windows computer, this program will automatically scan and show you the leftover files. You can choose to remove or keep them. You also can uninstall the non-removable and stubborn programs from your PC. It will not require any manual efforts. The good thing is, if any recent windows update creates any problem on your PC, the IObit uninstaller pro can remove that update too. It also can protect you from malicious plugins, adware, and extensions by eliminating them from your computer. Currently, Windows 10 comes with some crapware and bloatware. Typically, Users can’t remove them. But, By using IObit uninstaller, you can easily get rid of these unnecessary programs. It also has many more benefits that you will slowly discover. It is a program with excellent features and a decent interface. The interface is much more user-friendly and also better than most of its competitors. When you launch this program, you will see a modern user interface with all the necessary options in the home window. In the left sidebar, you will see all the options like All Programs, Bundleware, Recently Installed, Large Programs, Infrequently Used, Software Updater, Toolbars & Plugins, Windows Apps and, Action Center. In the menu that you will find when you click on the three vertical lines icon on the top right corner, you will see some hidden features. These are also very useful. Overall, The UI of IObit Uninstaller gives you almost no opportunity to complain. When I tested this program, I have not found any issues. The performance was very smooth and promising. There is not many things to tell about performance. It’s just so good. Though IObit Uninstaller is a very good program, it still has some lackings. It doesn’t have a dedicated feature to scan for unnecessary files and leftovers. It doesn’t have a feature to delete undeletable folders. Unlike Revo uninstaller, it doesn’t have a feature like Hunter Mode which lets you uninstall stubborn program more conveniently. Hopefully, After reading this IObit uninstaller pro review, You have got some idea about this product. I definately recommend you the pro version. But, Before that you can try its free version and decide if you want to pay or not.